September 9, 2011 – The perils of digital. | What I got rid of today. ← September 2, 2011 – The Red Shoes. If ever there were a mascot of the RID project, it might be this book. You see, I picked it up in Scotland recently — and after I read a few chapters I realized that I had already bought it and downloaded it to my iPad. Yep, bought the same book twice. If ever there were a reason to RID everything I can…and go digital for most things, that’s it. 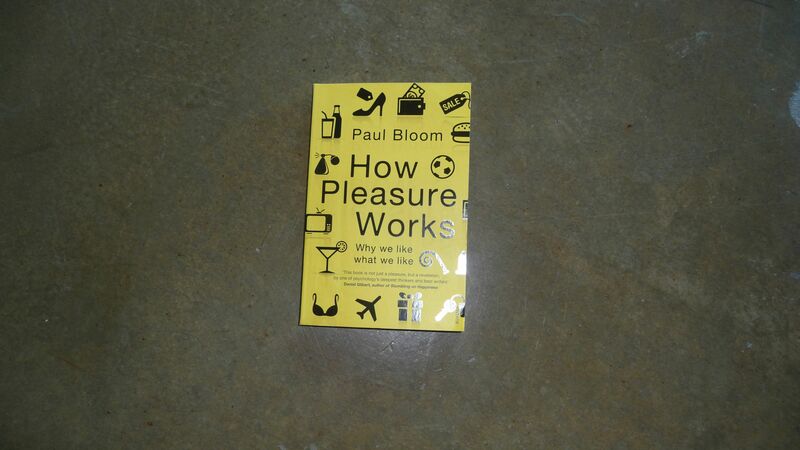 So, as I RID this excellent book today about the study of pleasure, I remind myself of the simple ones — reading, enjoying, and NOT consuming.